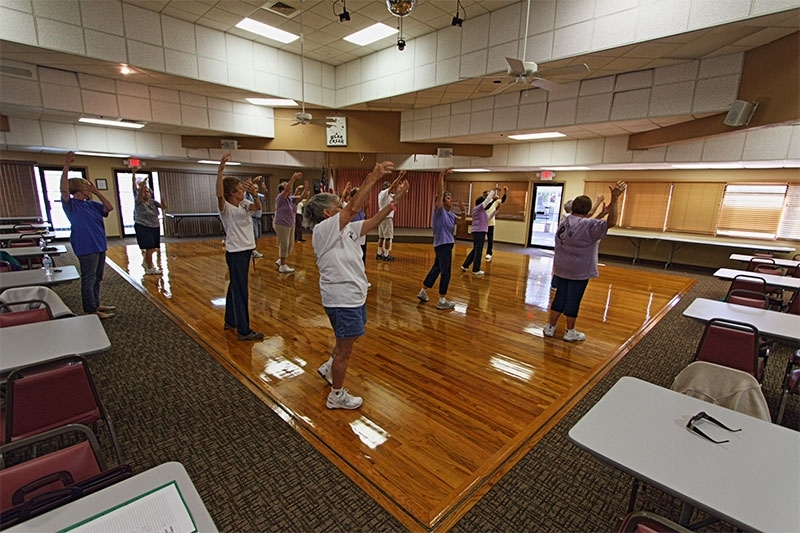 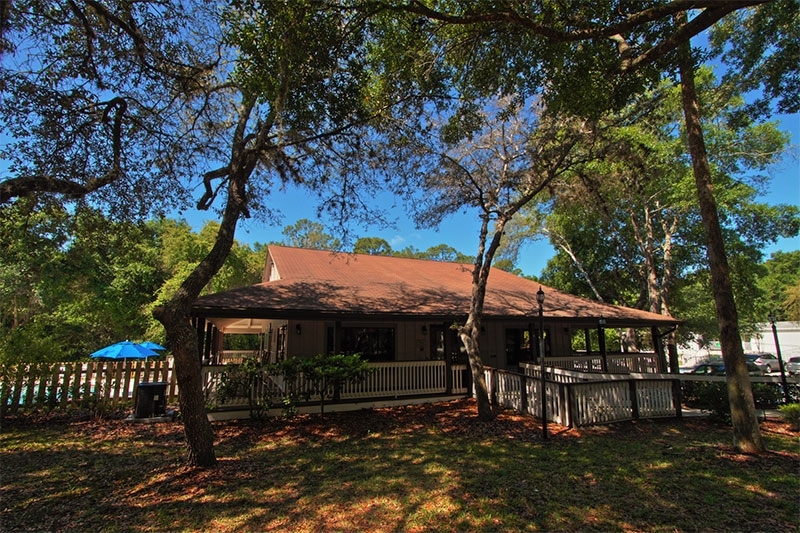 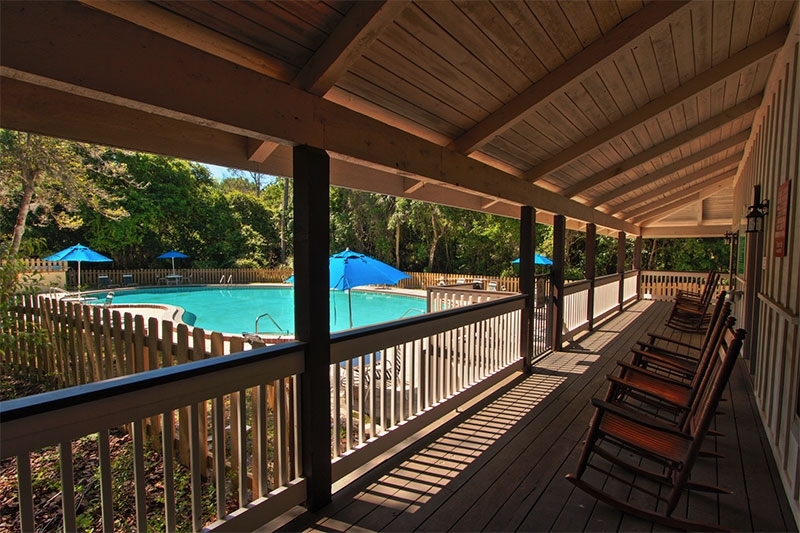 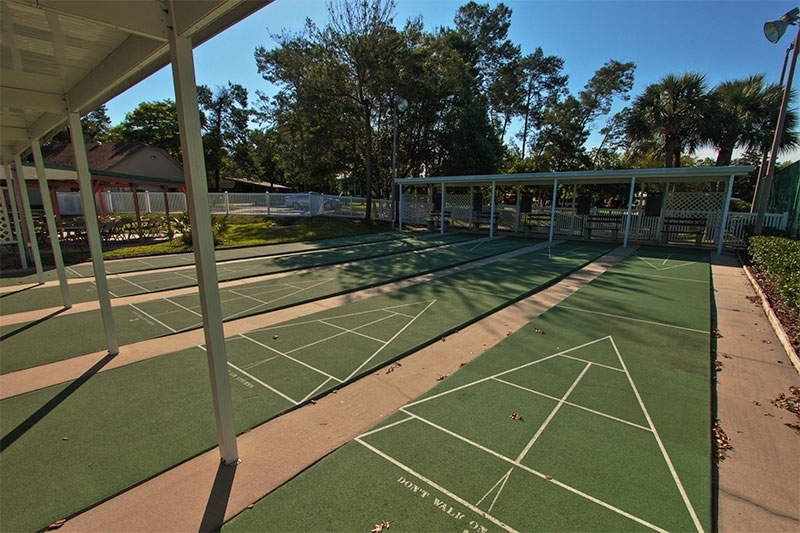 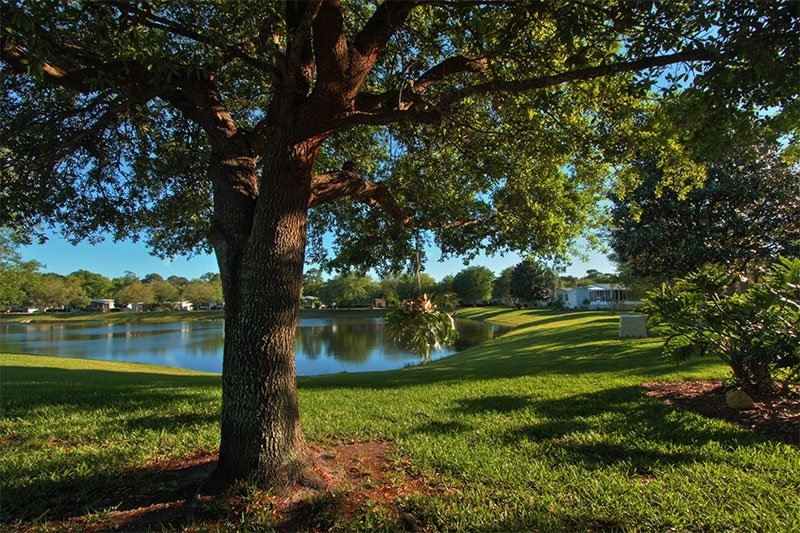 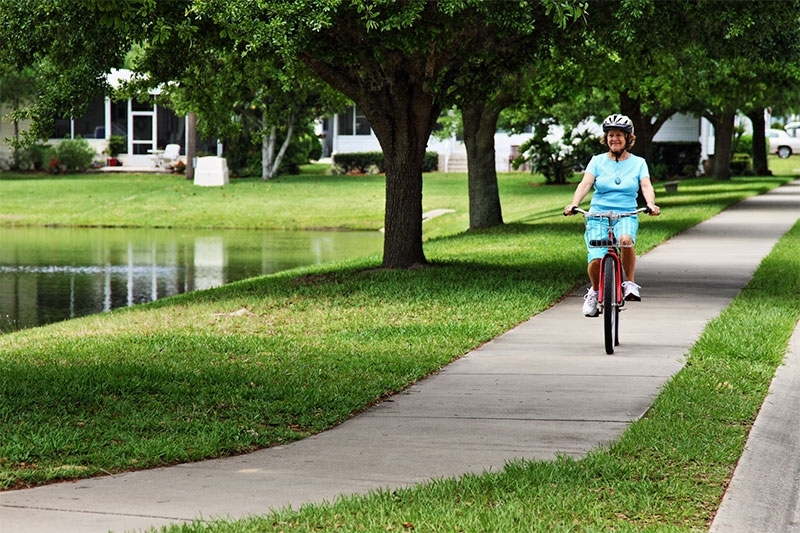 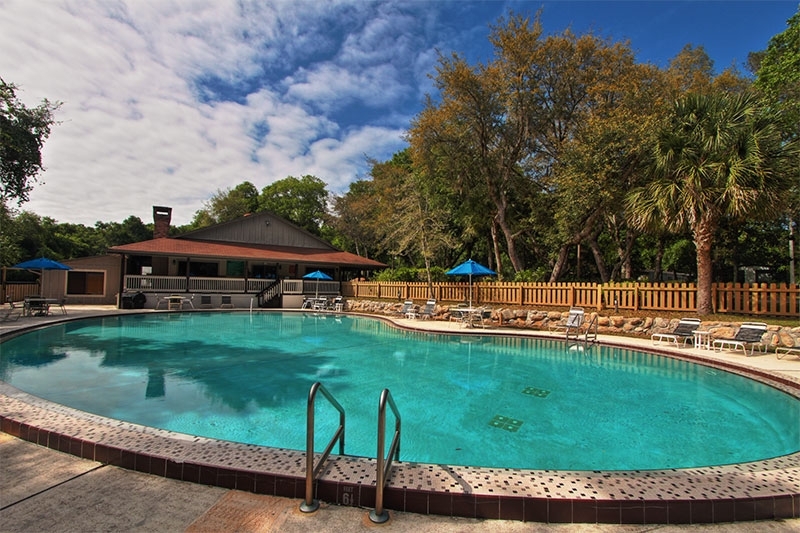 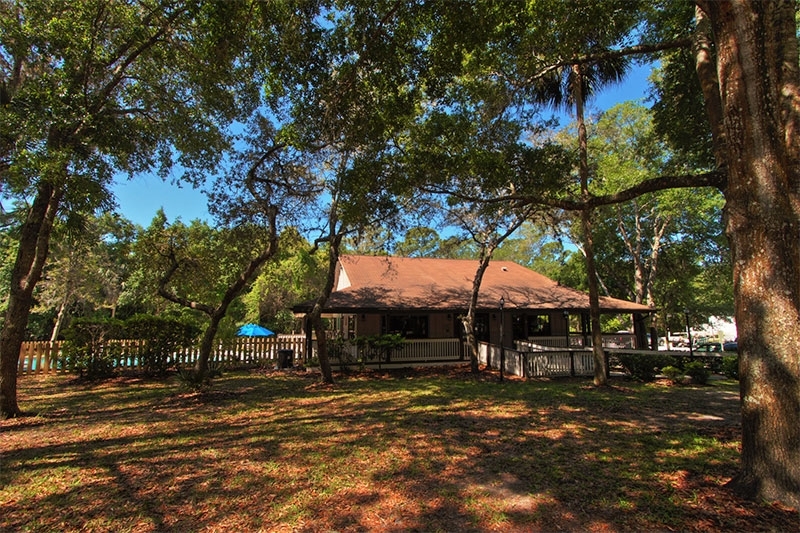 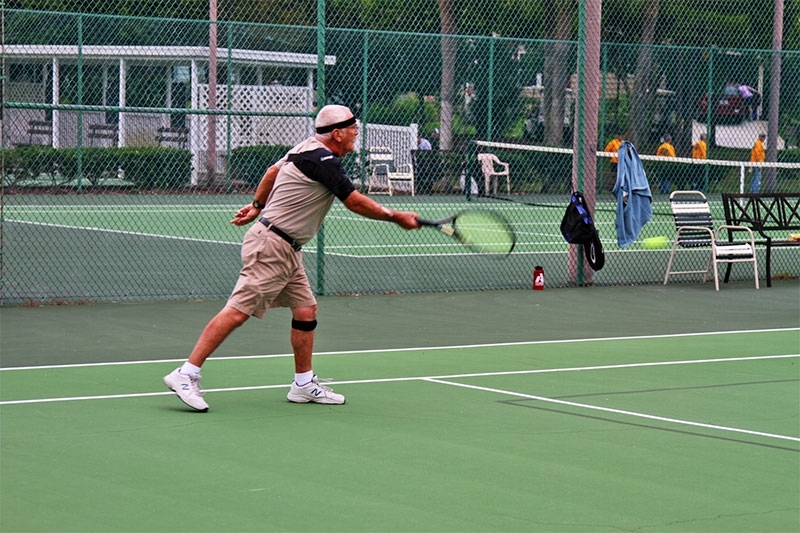 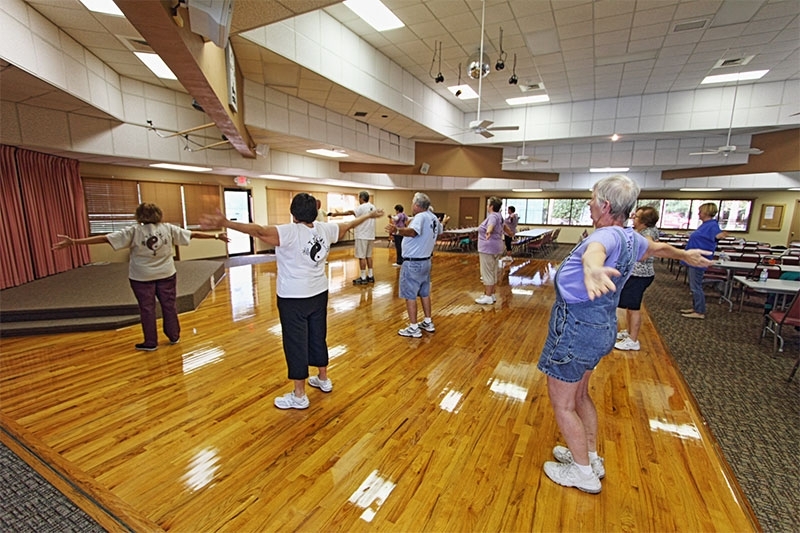 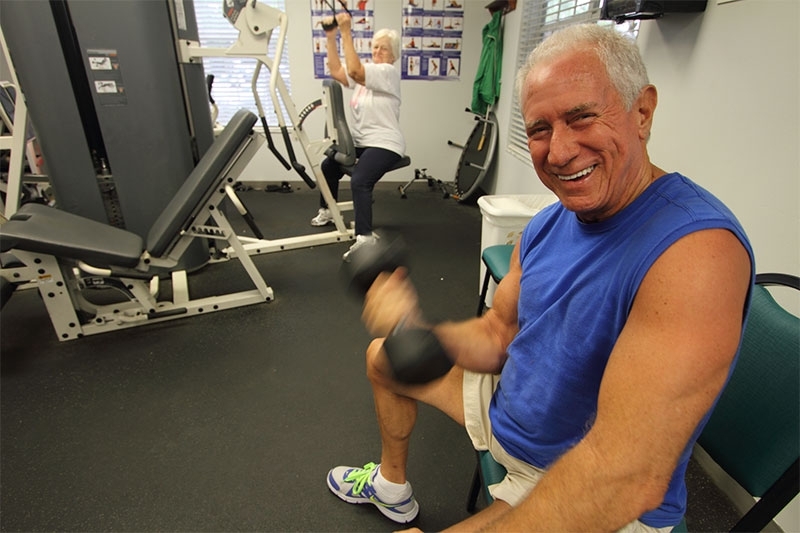 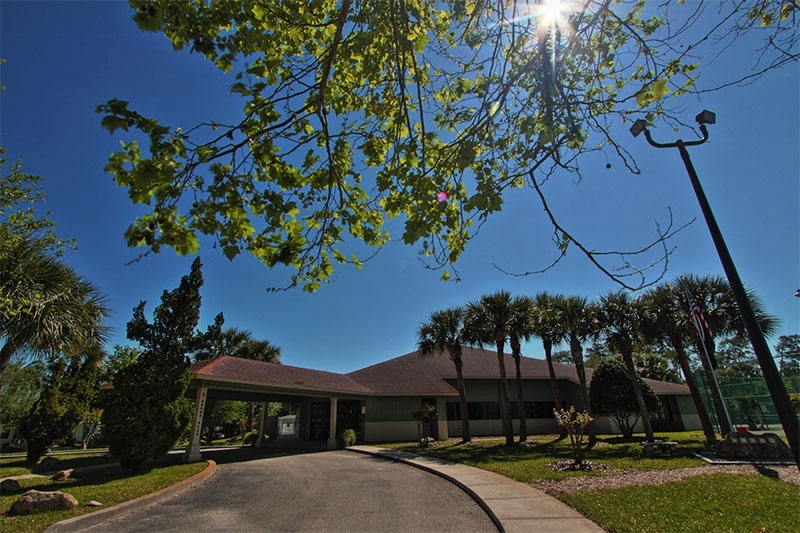 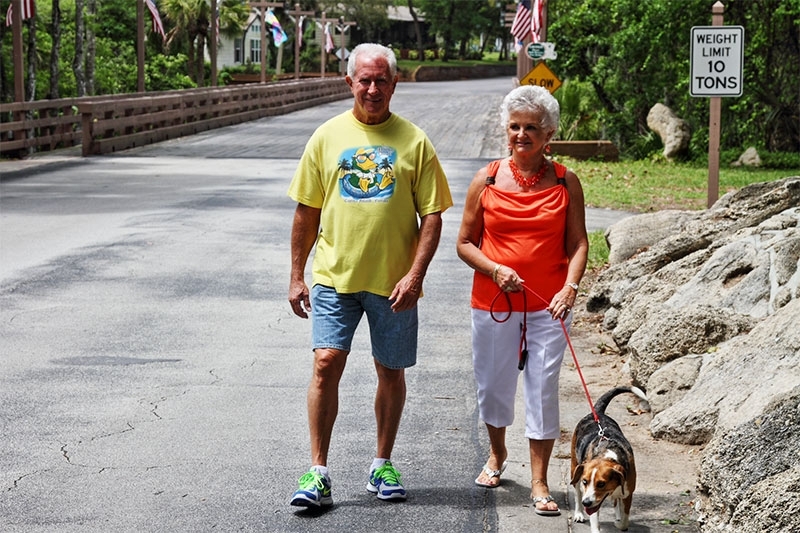 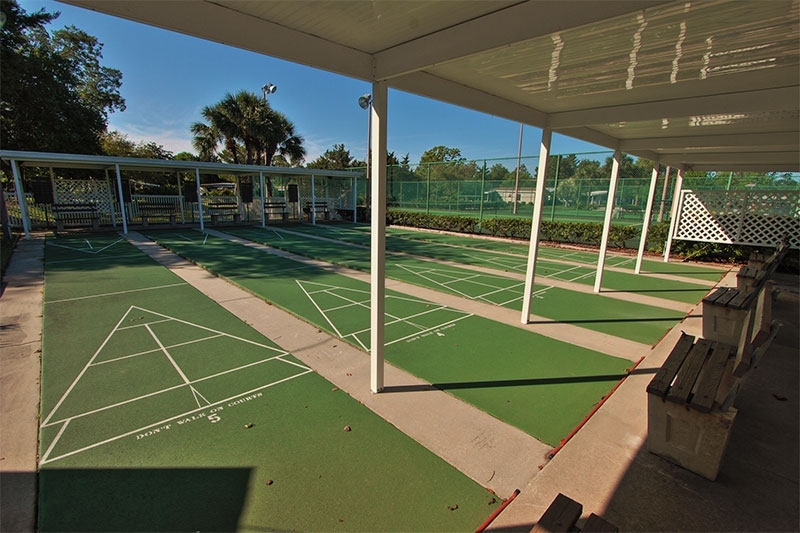 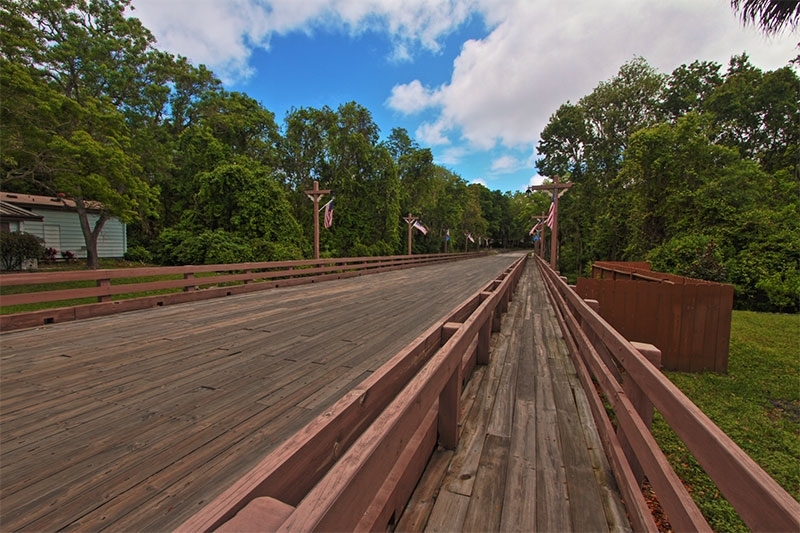 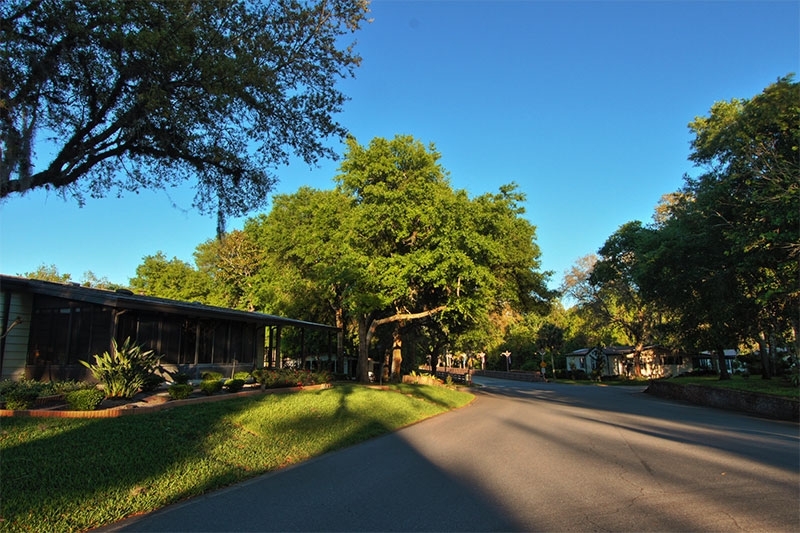 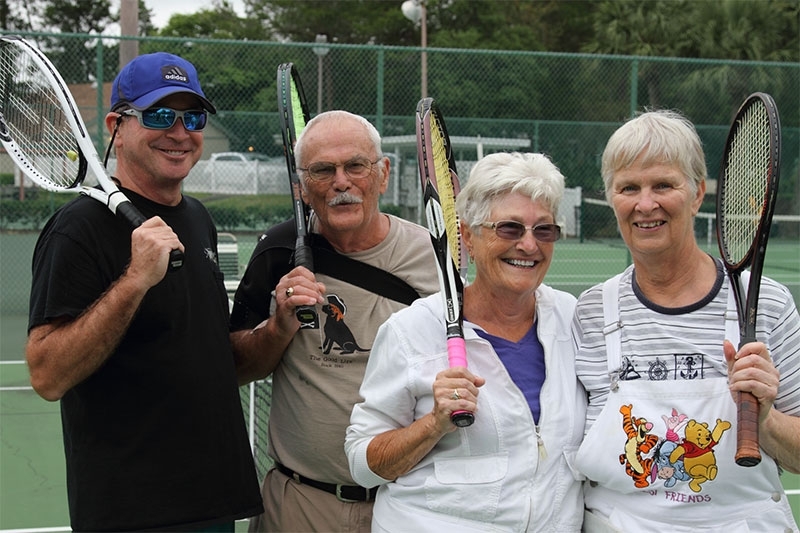 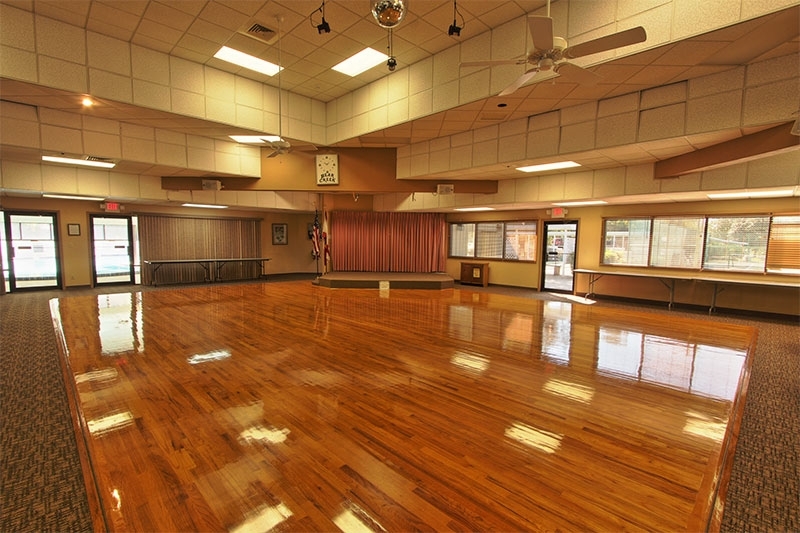 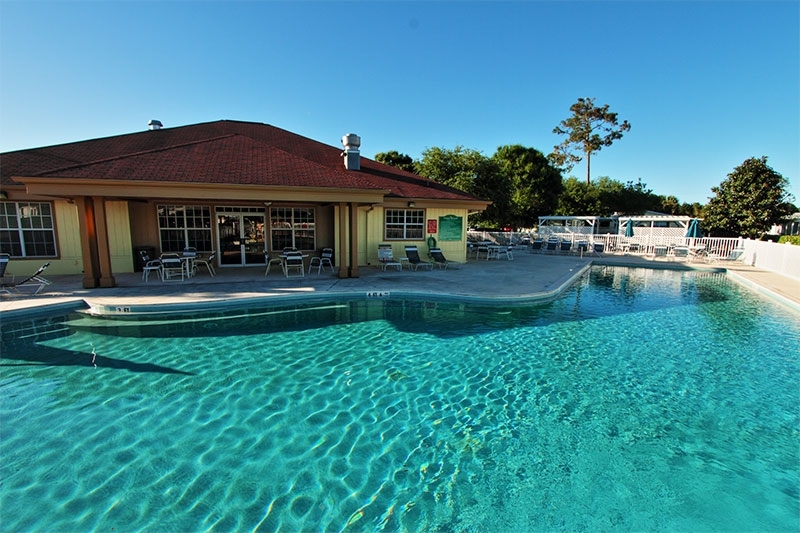 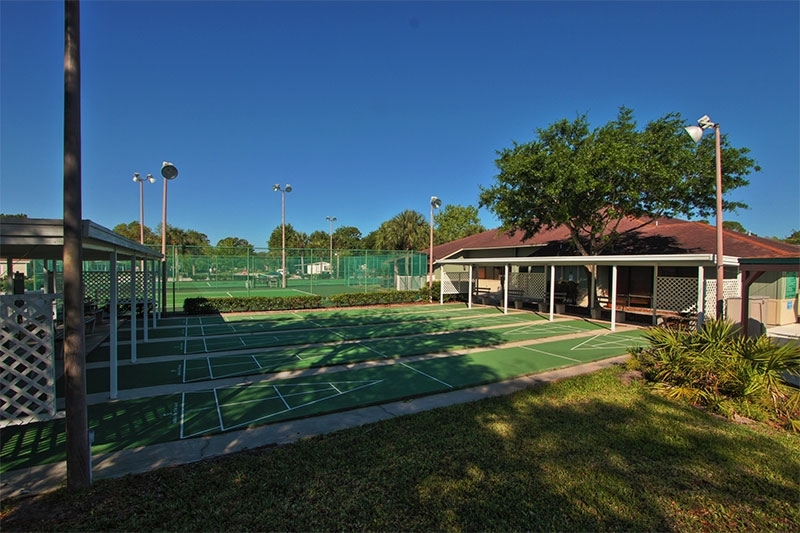 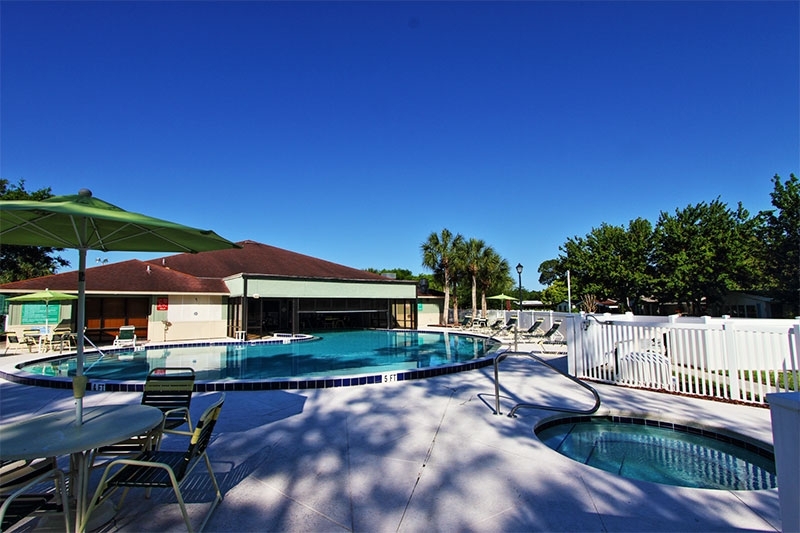 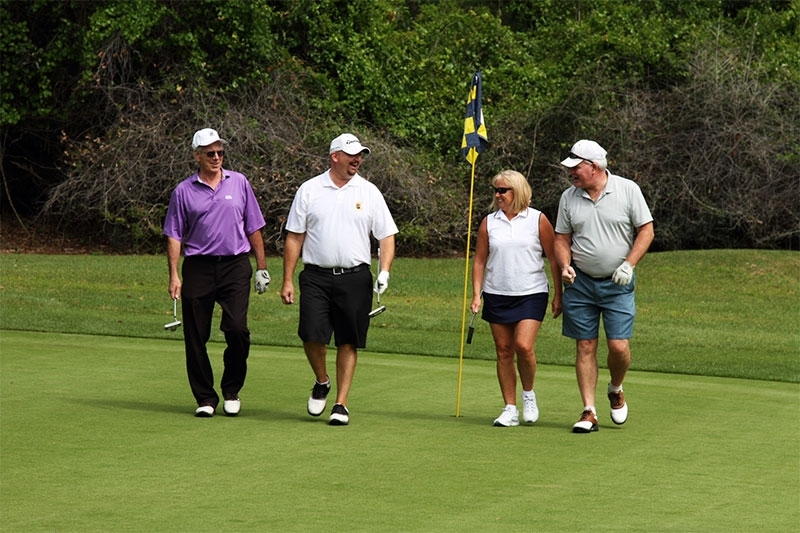 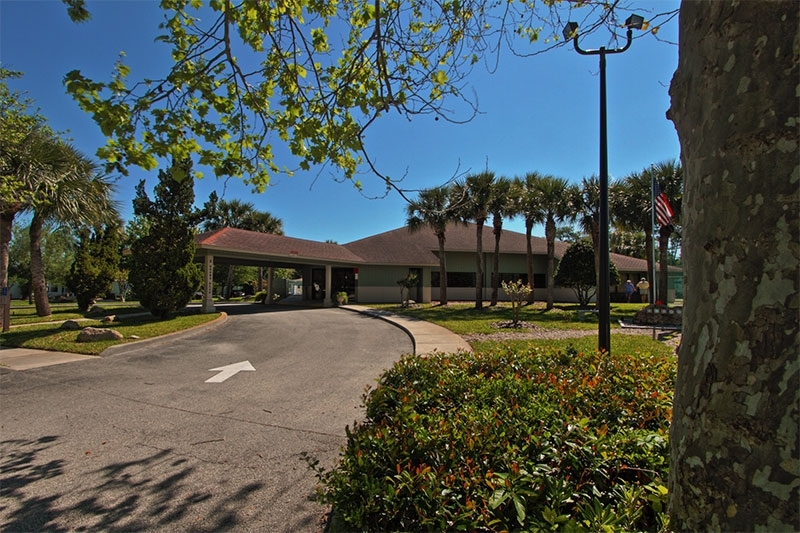 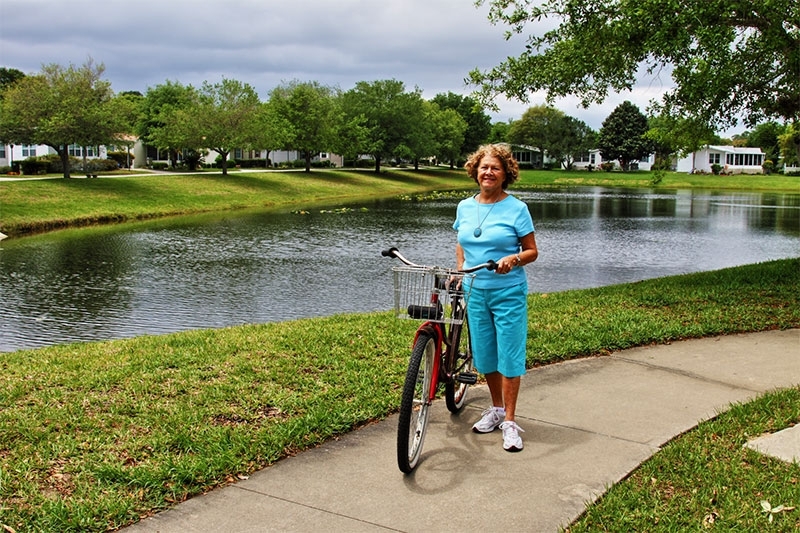 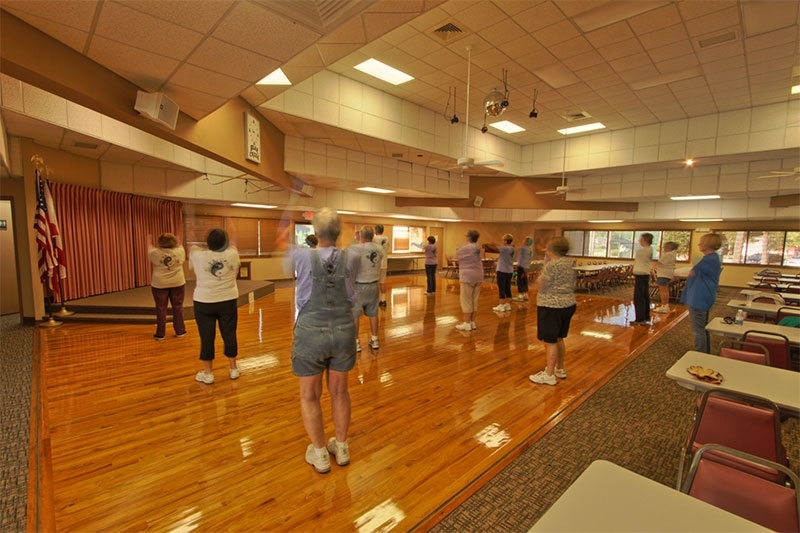 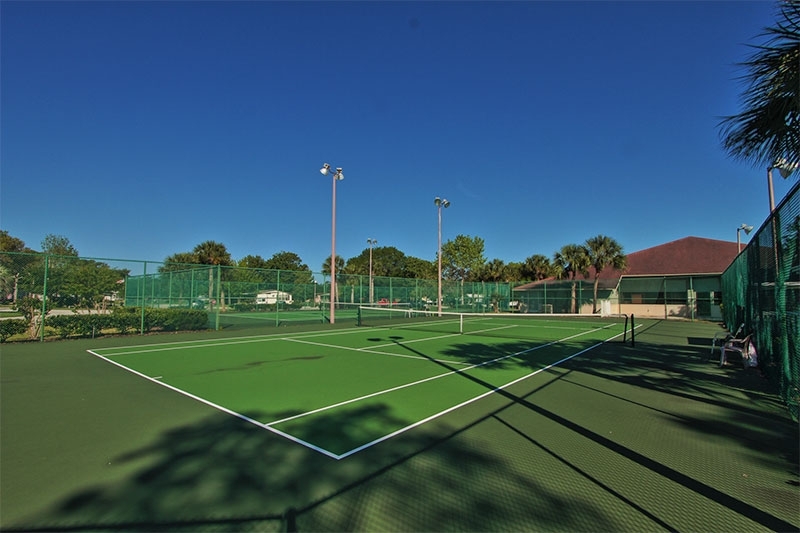 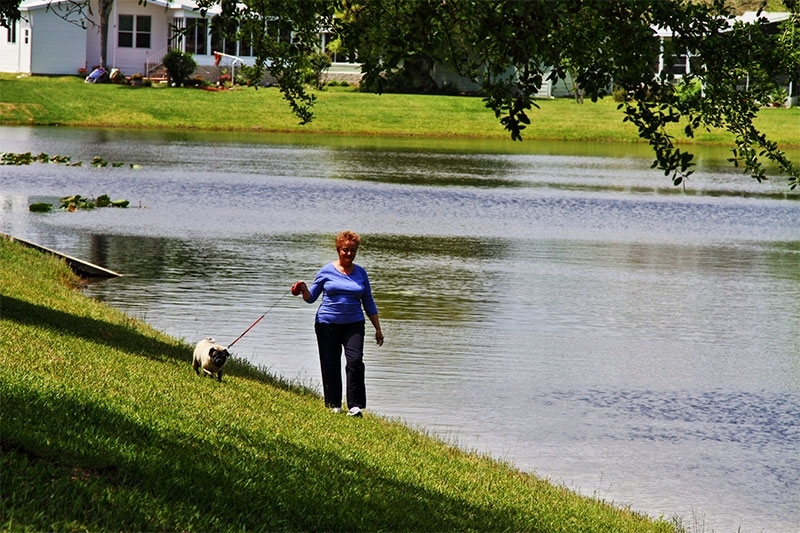 Bear Creek is one of Central Florida’s most active 55+ communities. 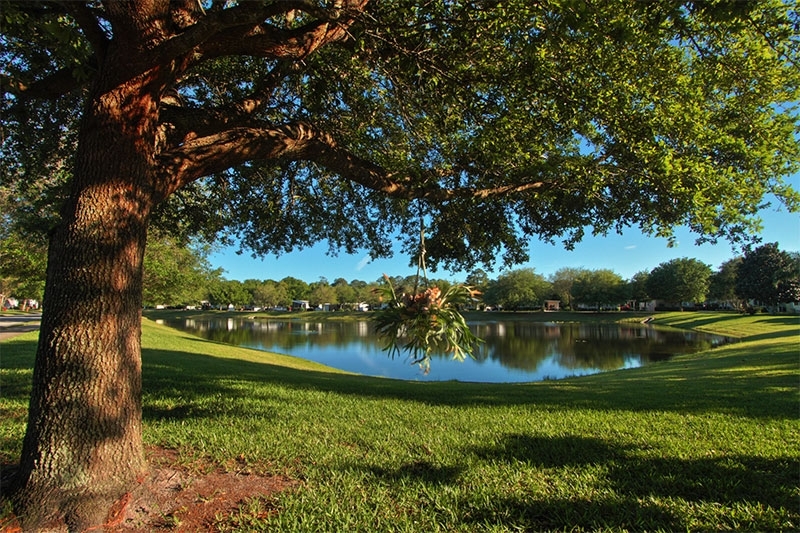 And yet, it isn’t just a place to live … it’s a lifestyle. 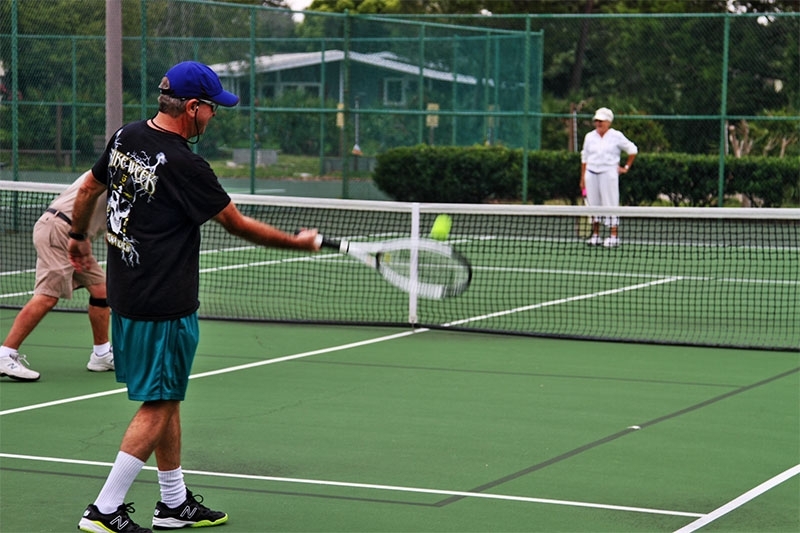 As a resident of our tight-knit retirement living community, you’ll have unlimited access to a tremendous selection of amazing amenities and can take part in virtually countless resident activities. 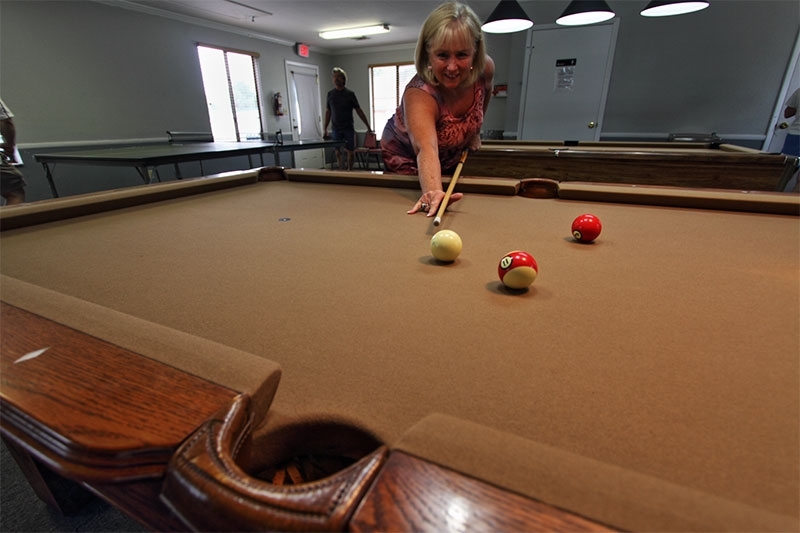 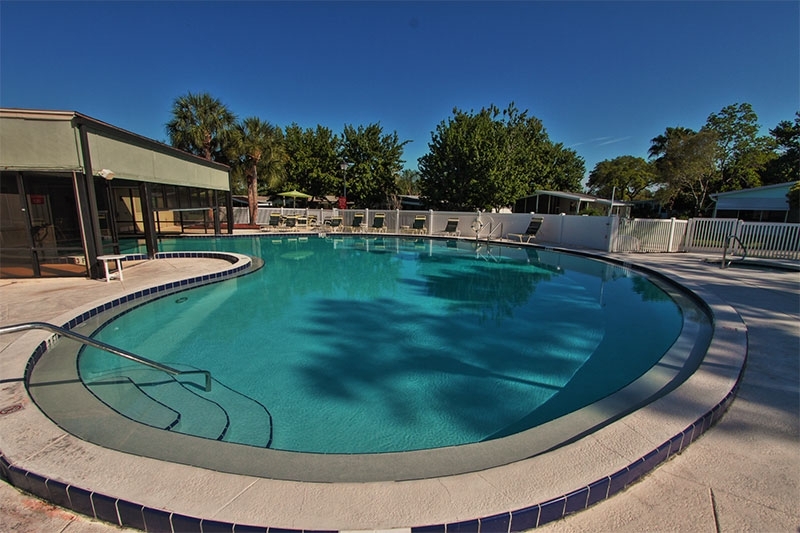 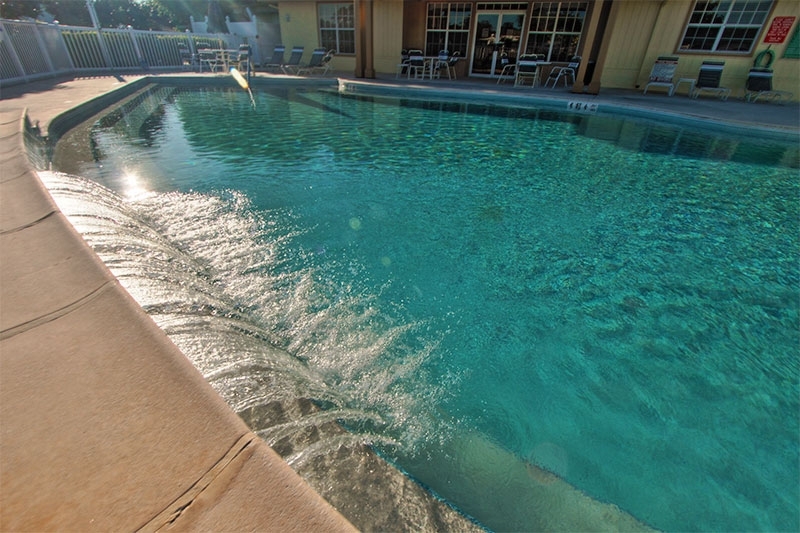 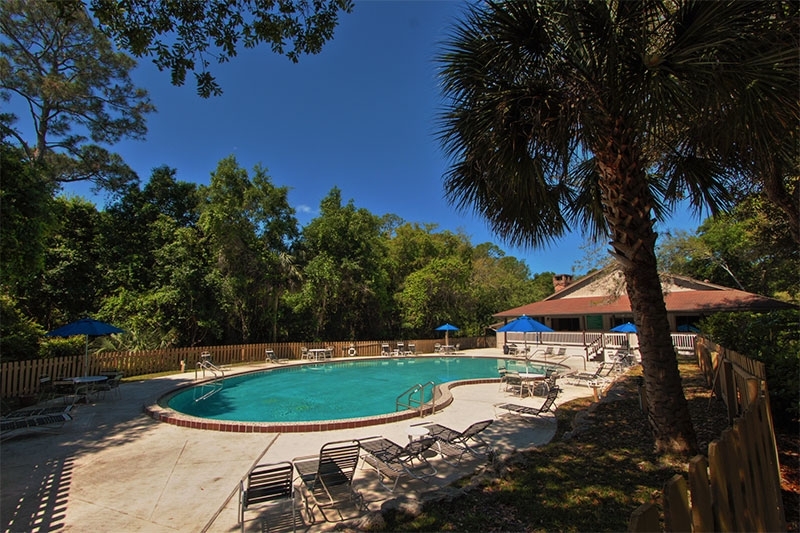 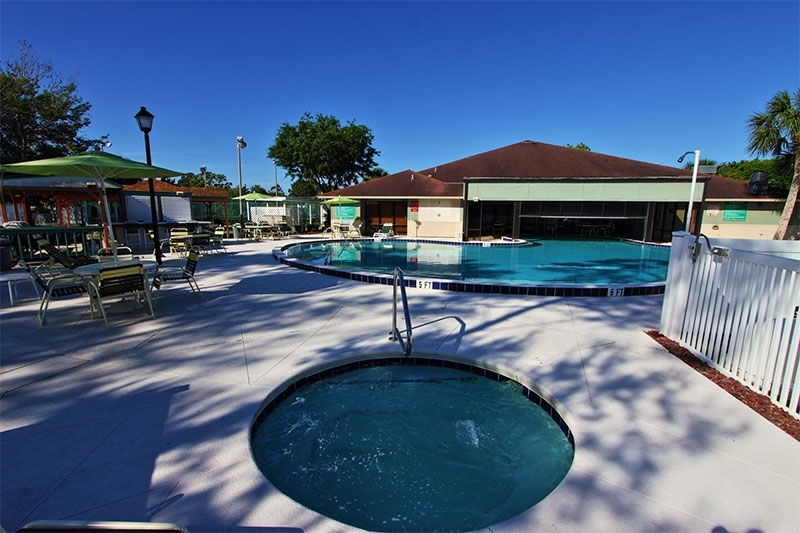 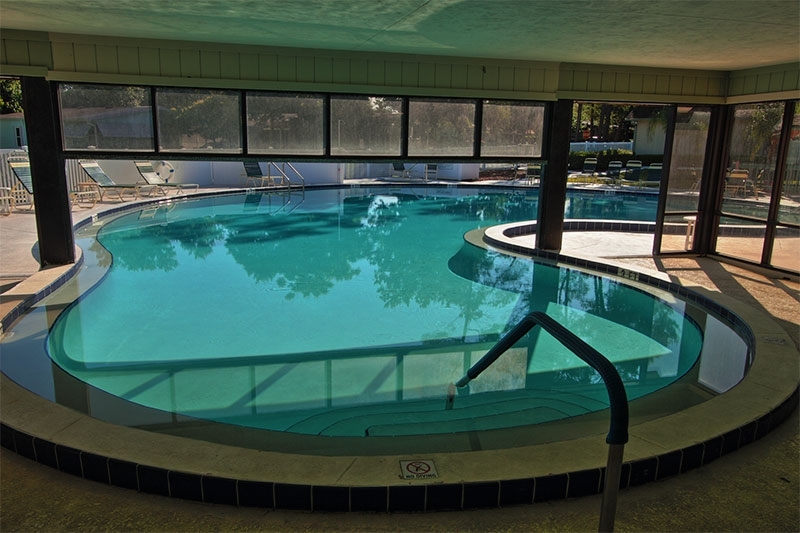 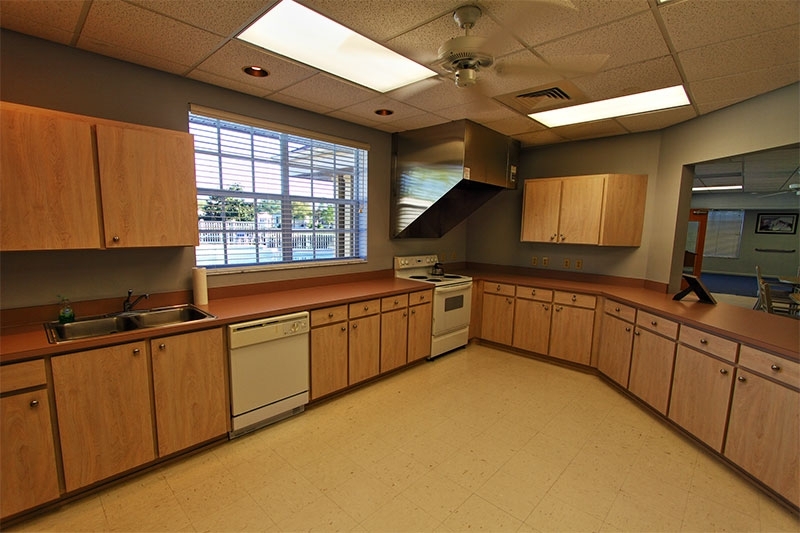 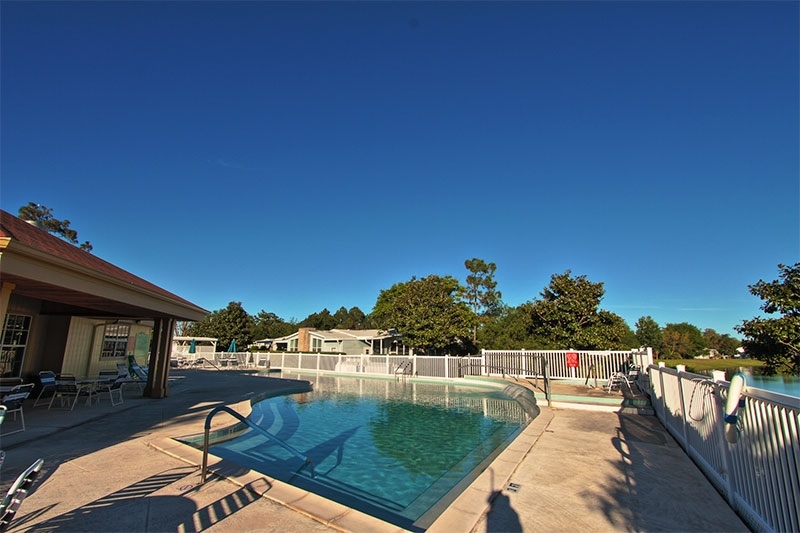 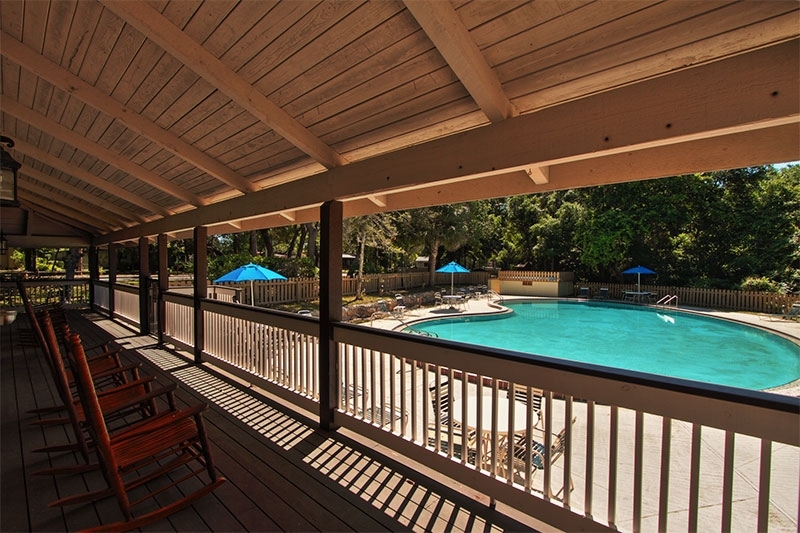 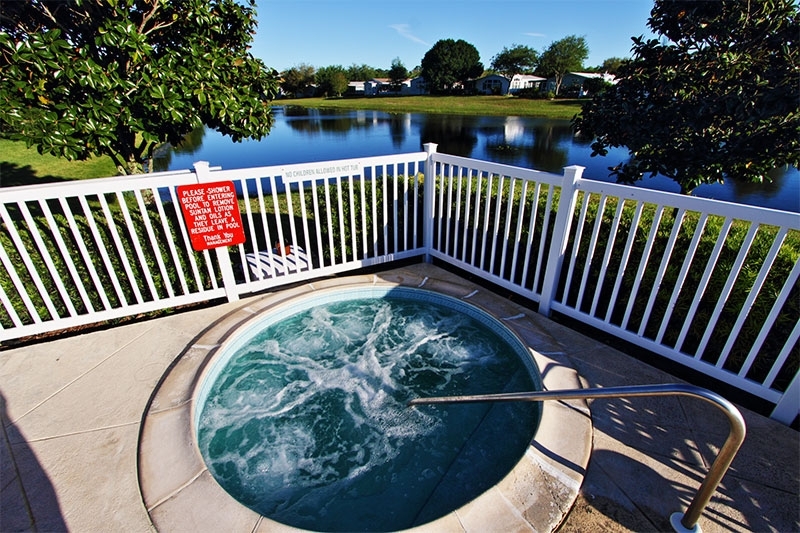 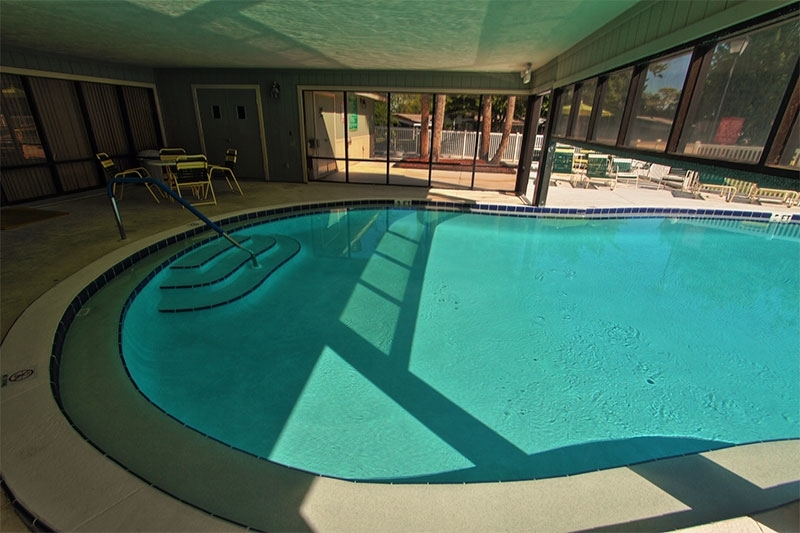 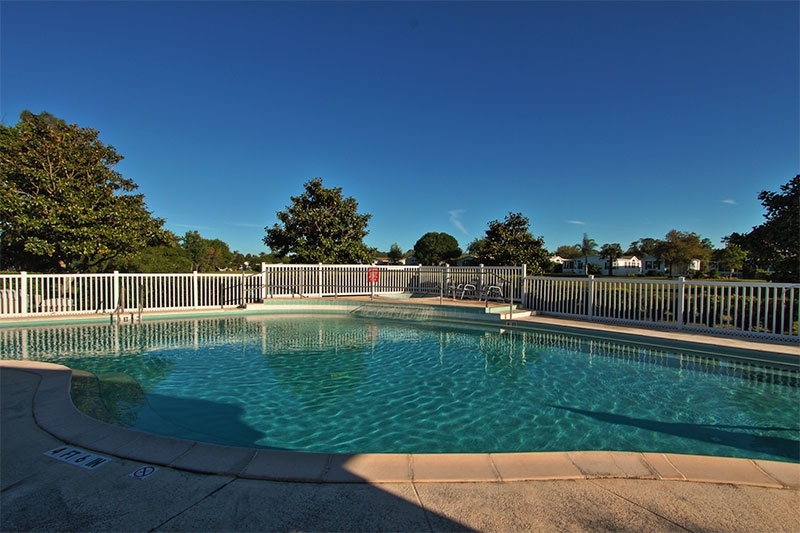 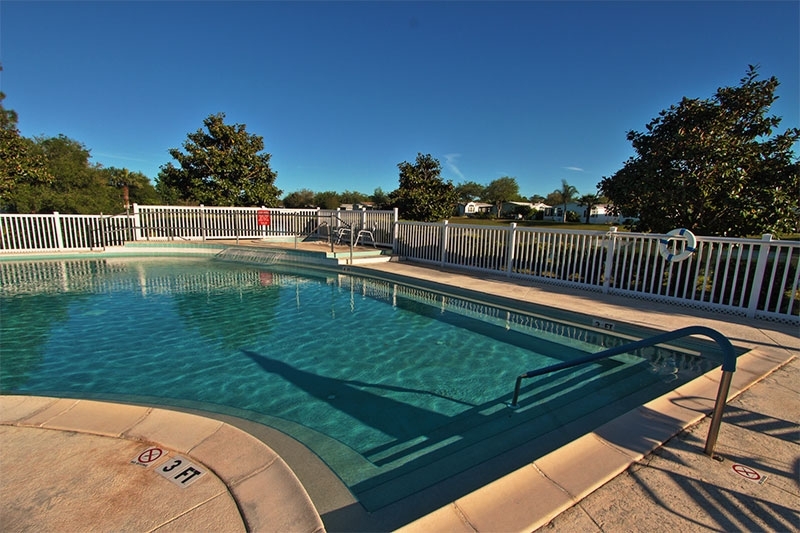 Our manufactured home community has not one, but three clubhouses, each with its own pool and whirlpool spa. 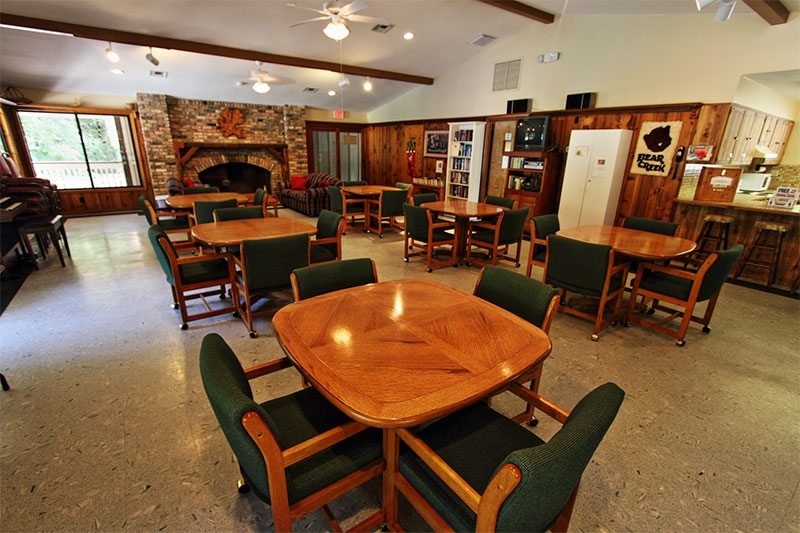 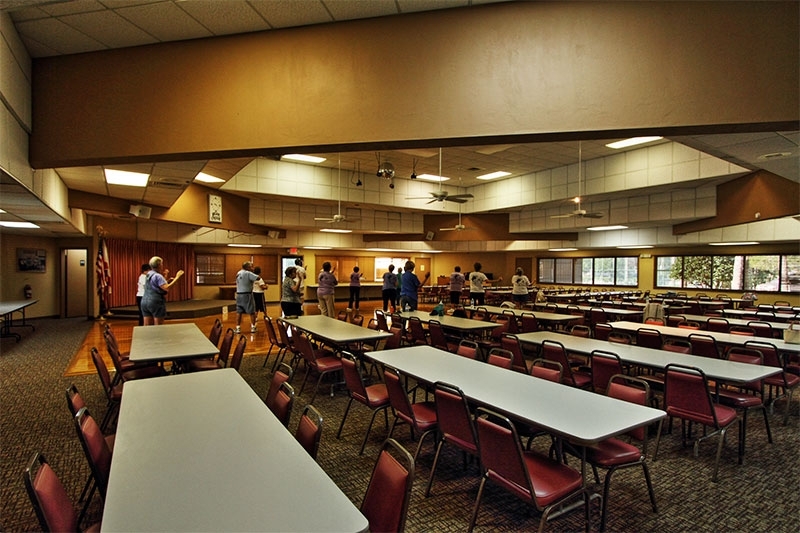 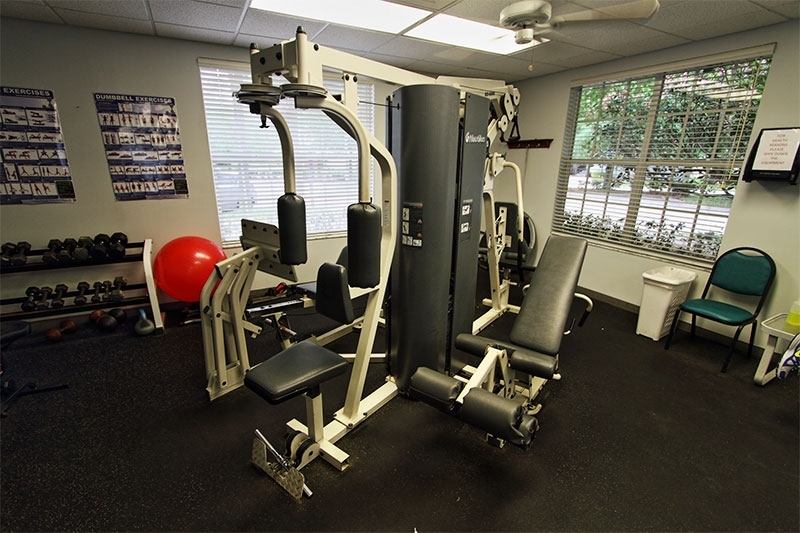 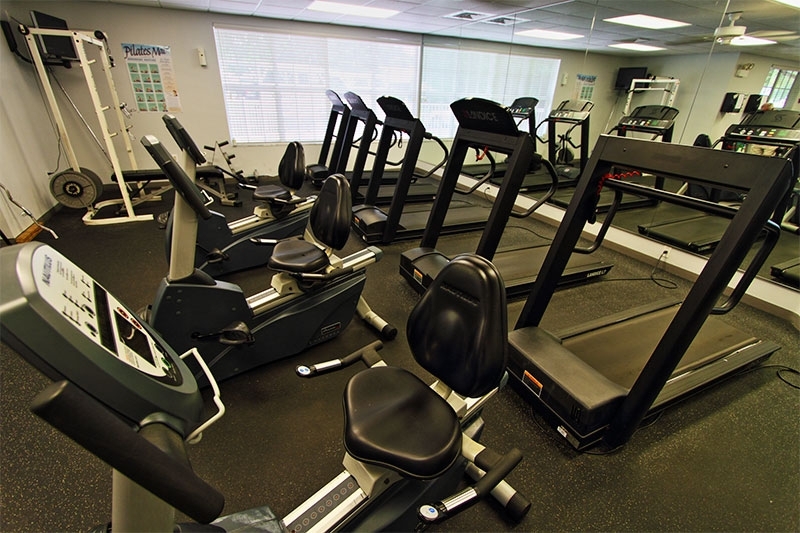 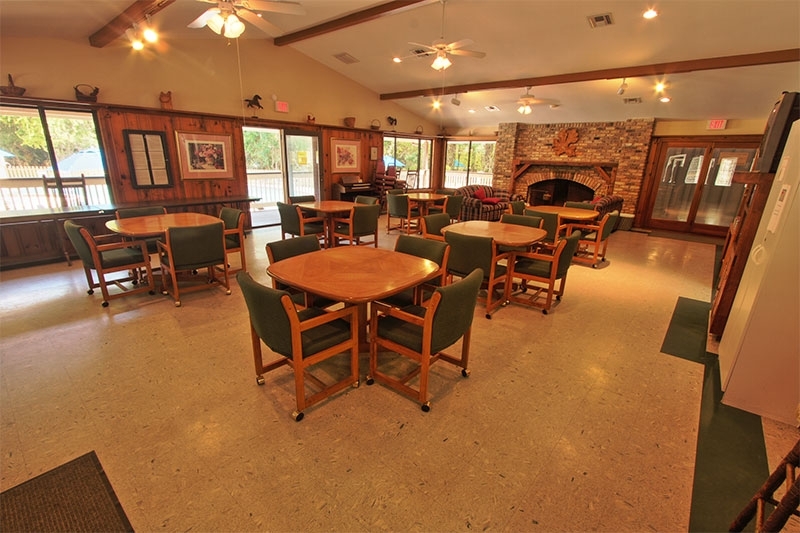 Spread among our fully appointed clubhouses are a large stone fireplace, comfortable gathering places, a dance floor and bandstand, billiards room, shuffleboard, tennis and pickleball courts, horseshoes, state-of-the-art fitness center, aerobics room, and much more. 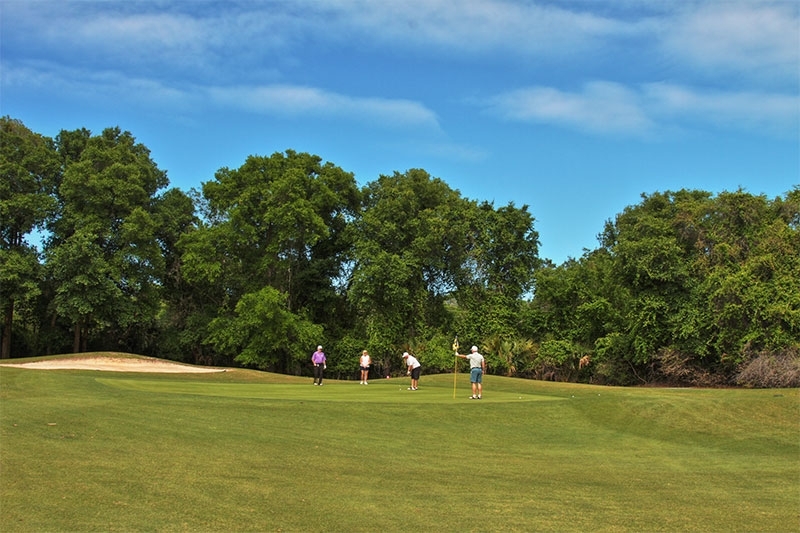 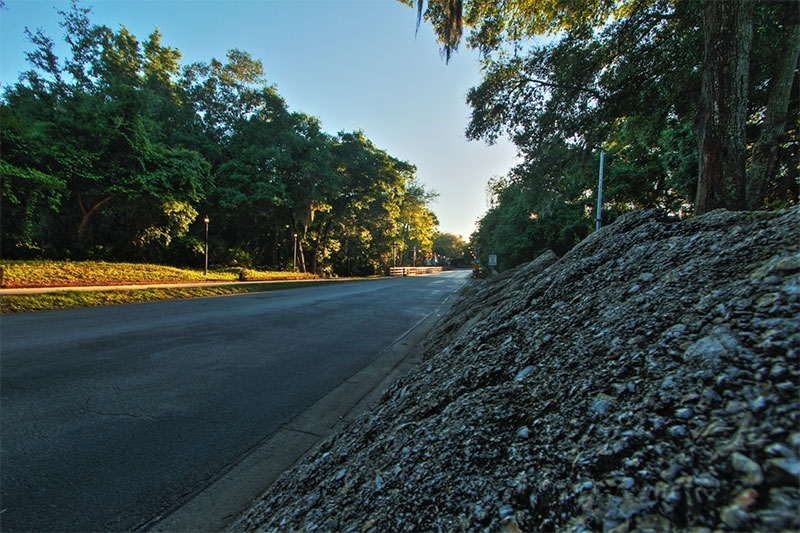 You can also take a stroll on our stunning nature trails that meander through Bear Creek or play some golf on the adjacent public course. 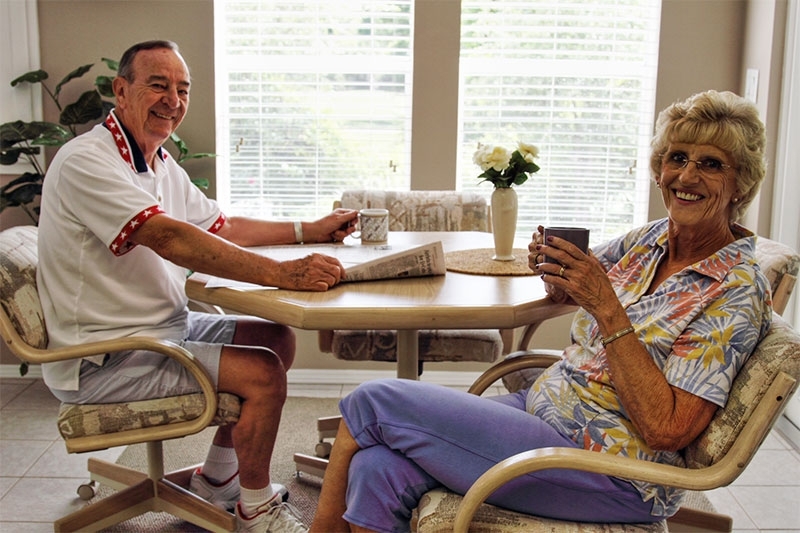 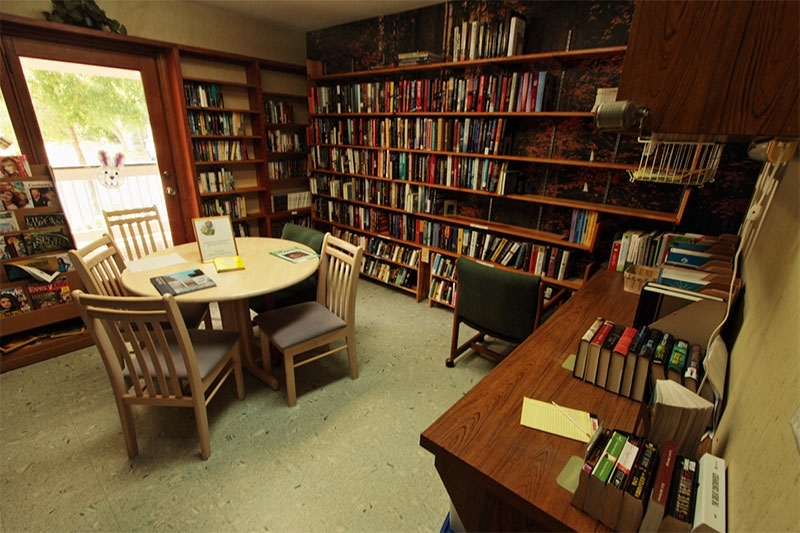 No matter your interests, you’re sure to make fast friends with many other like-minded residents of our 55+ community. 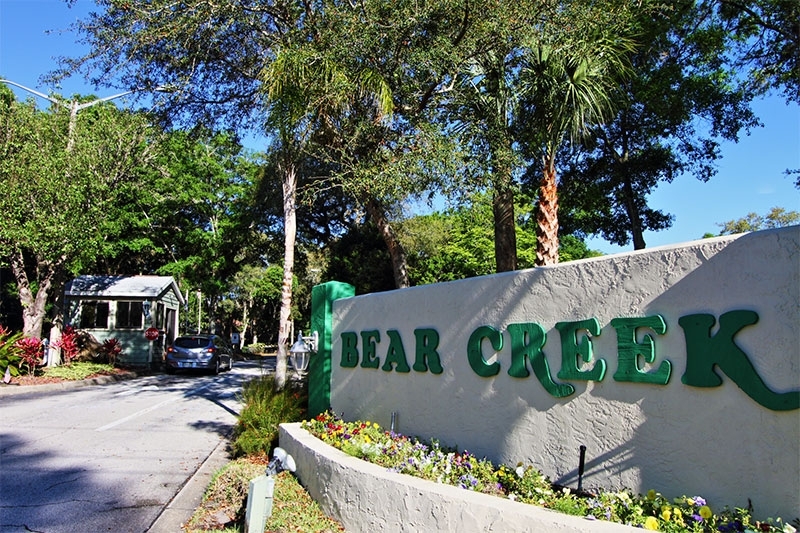 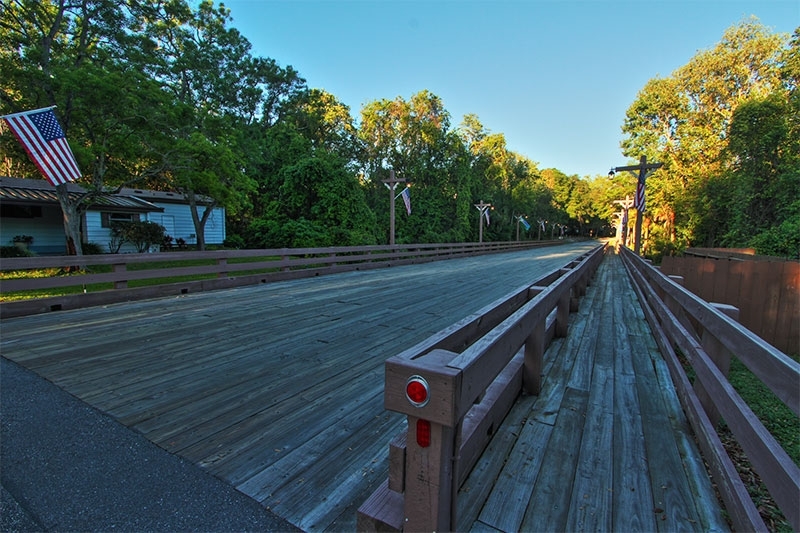 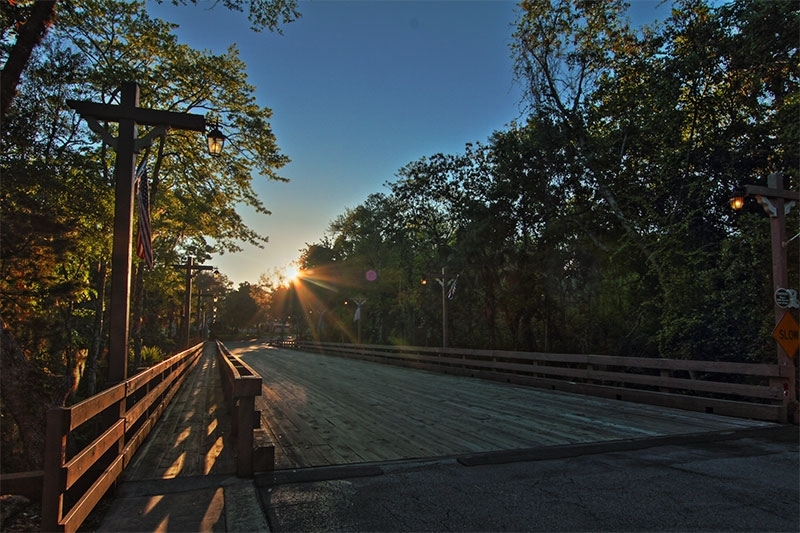 Because Bear Creek is located in Central Florida, you’ll also have easy access to a multitude of attractions outside of our secure gates. 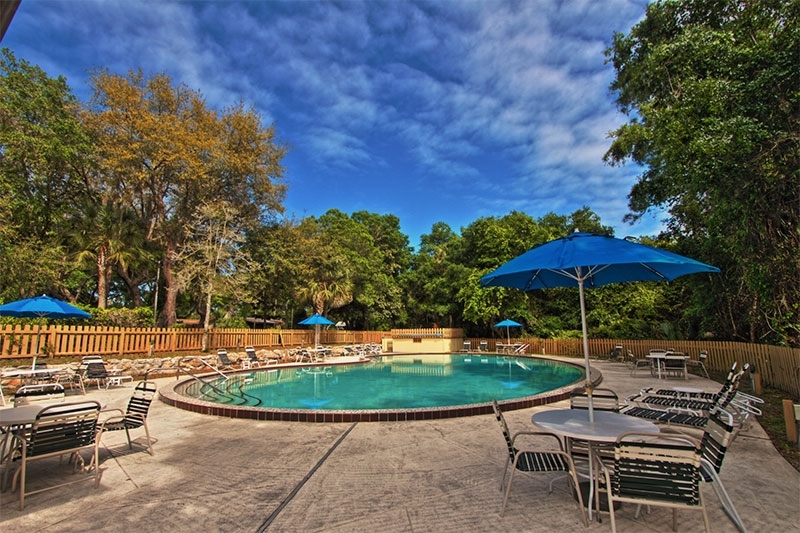 Take a day trip to SeaWorld, Disney World, or other world-renowned amusement parks, or make the short, five-mile drive to Daytona or the Atlantic Ocean’s white sand beaches. 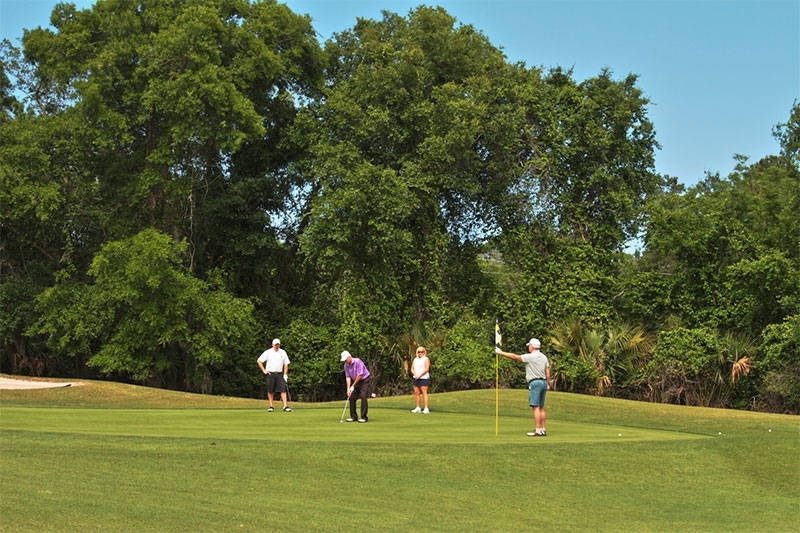 Our 55 and over community neighbors a municipal golf course, and is close to several large shopping centers and fine dining establishments. 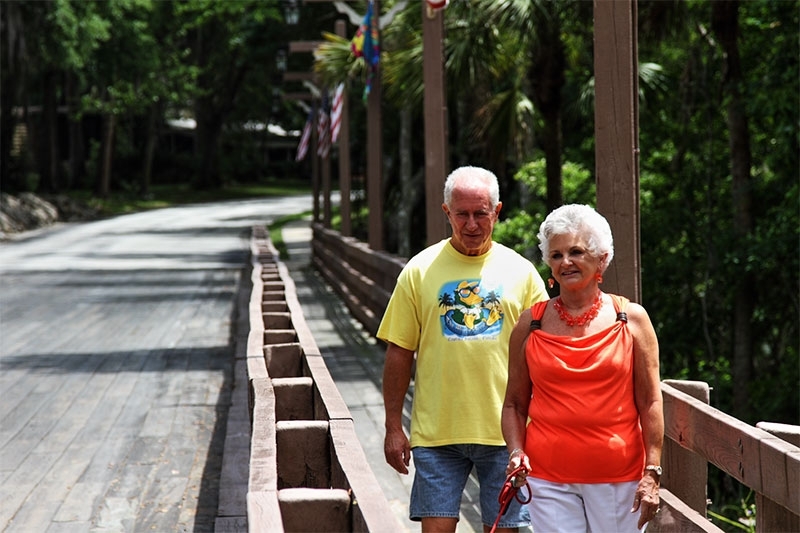 There truly is no shortage of things to do, places to go, and sights to see when you live in one of Bear Creek’s manufactured retirement homes. 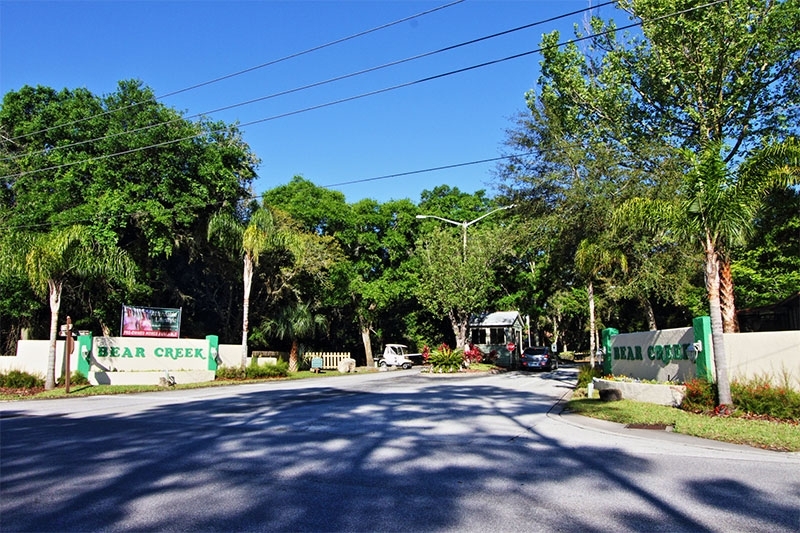 While you might have to pay a premium to live in one of the many other 55+ communities in the heart of Central Florida, Bear Creek offers an affordable Florida lifestyle. 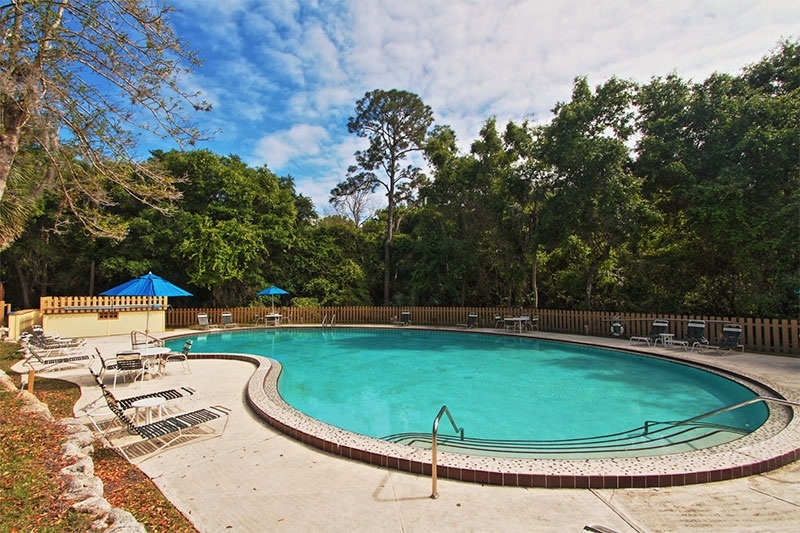 We provide unlimited access to all of the amazing amenities mentioned above for just one low, monthly homesite lease payment. 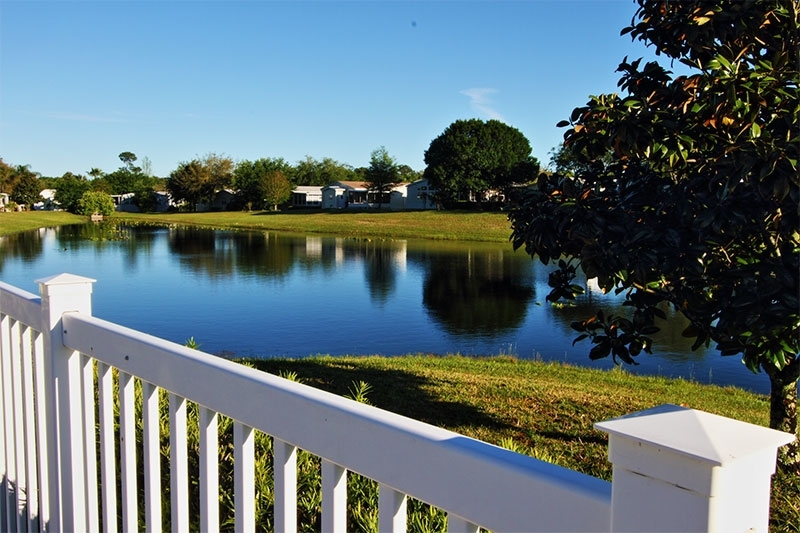 Maintenance of all common areas, trash and recycling services, and grounds keeping – including regular mowing and irrigation of your lawn – are also included in this incredibly affordable monthly payment. 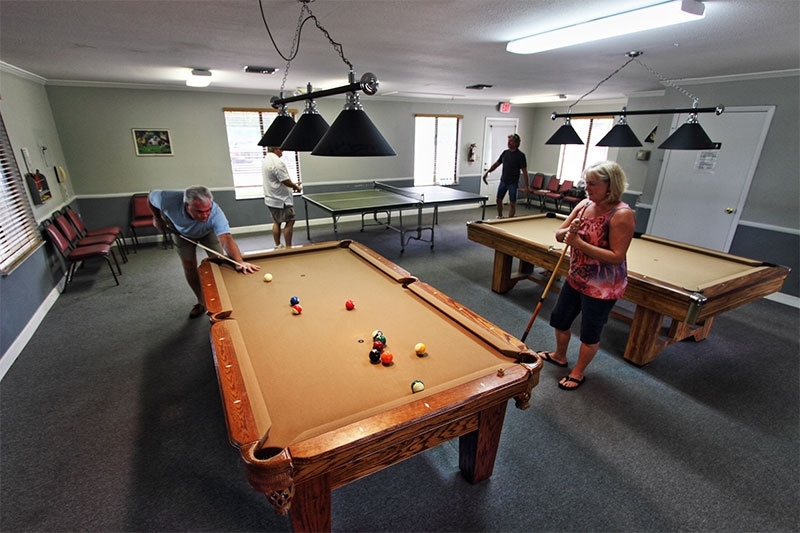 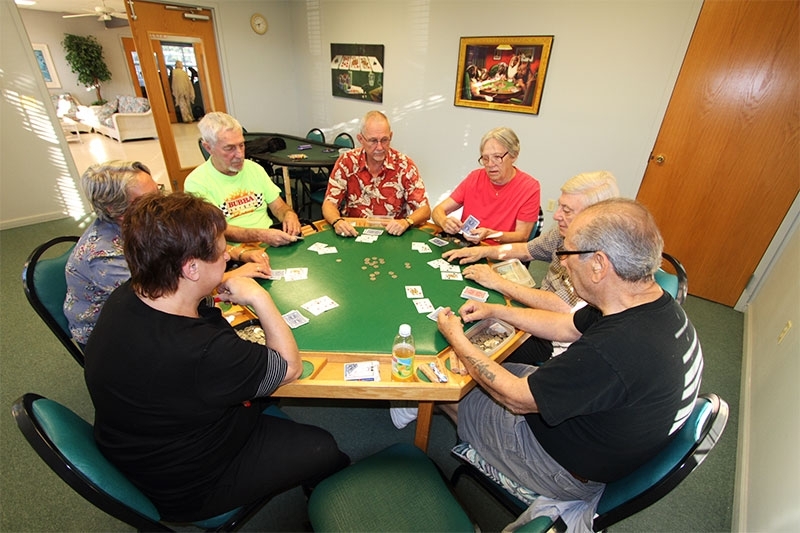 What’s more, as a resident of our active retirement living community, you’ll live in a comfortable, quality constructed manufactured home that is priced to fit within your retirement budget. 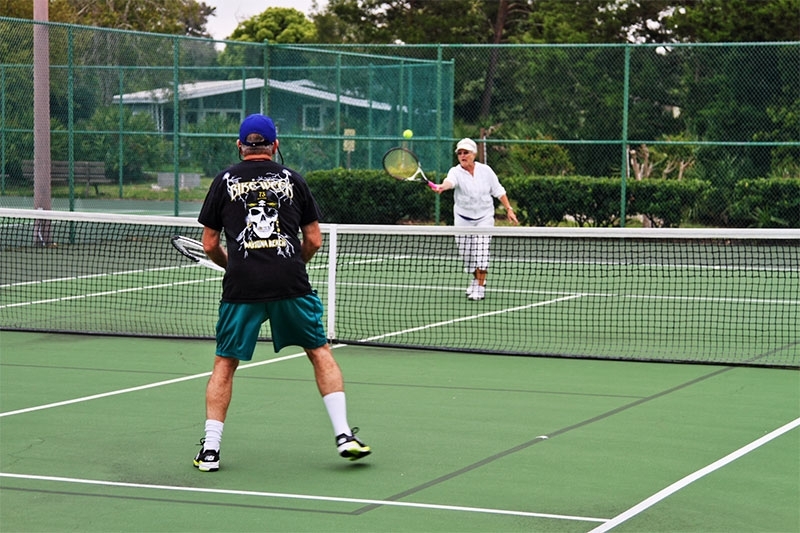 When you decide to purchase your retirement home at Bear Creek, you won’t have to deplete your nest egg to move into our secure, gated 55+ community. 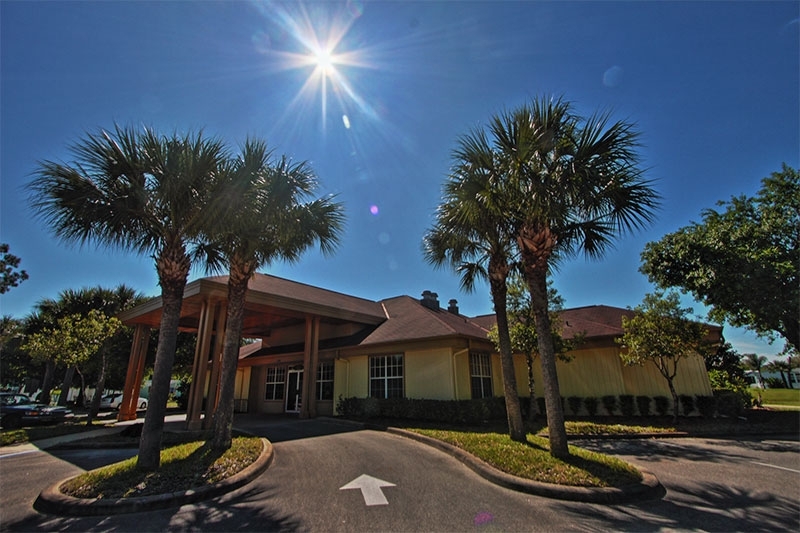 Perhaps best of all, you’ll continue to save money in the long run because Bear Creek’s retirement homes have been specifically designed to require very little maintenance. 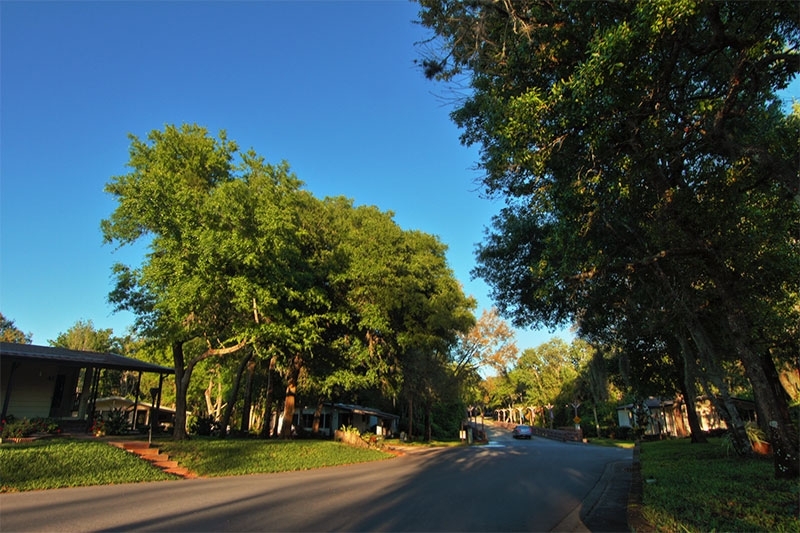 For instance, many of our homes have durable vinyl siding that never needs to be painted and stain-resistant carpeting that requires minimal cleaning. 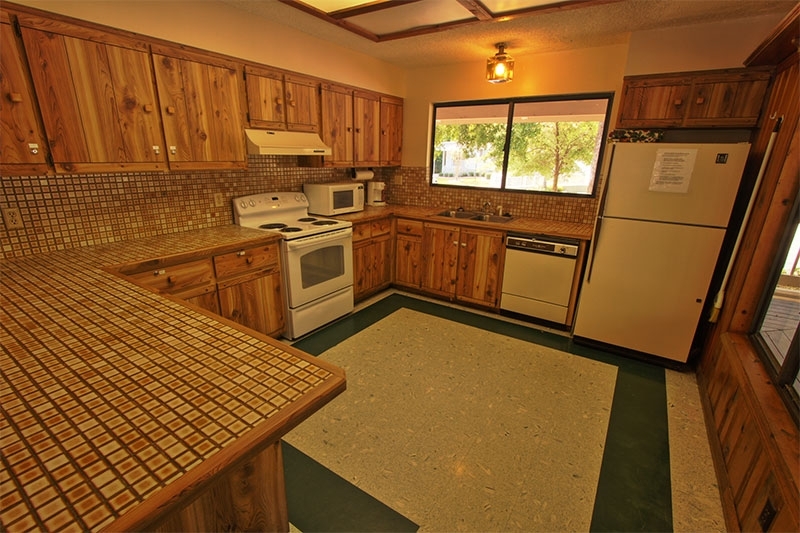 Many homes also have contemporary kitchens that won’t require updating any time soon and modern appliances that will stand the test of time. 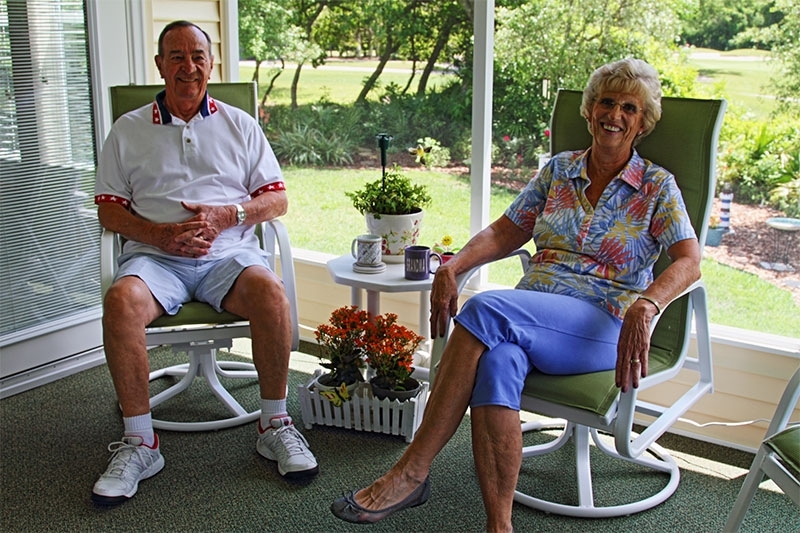 To learn more about what makes Bear Creek one of Central Florida’s most popular 55 plus communities, contact us today. 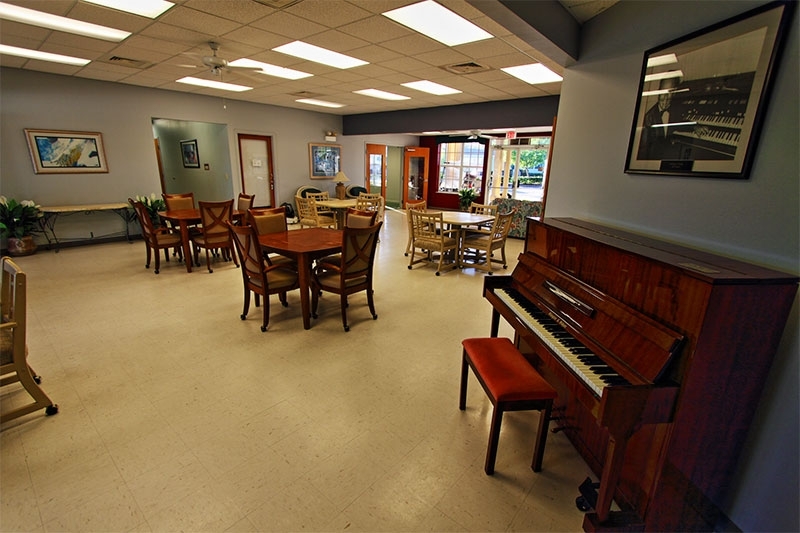 One of our friendly lifestyle consultants will be more than happy to answer your questions, provide additional information about our retirement homes, and tell you all about retirement living in Bear Creek.